All flight simulators, including those from other companies, can be traded in for credit toward the purchase of a new Redbird. Redbird Flight Simulations today announced its new Trade In, Trade Up program to give owners of outdated flight simulators an upgrade path to a state-of-the-art Redbird aviation training device. Simulation has become an important part of modern flight training, but thousands of simulators are relegated to limited use due to a reliance on 30-year-old technologies and outdated design. This new program from Redbird allows operators of these devices to get value from their initial investment, while upgrading the training experience they can offer to their customers. The current-generation of Redbird FAA approved Basic Aviation Training Devices (BATD) and Advanced Aviation Training Devices (AATD) are equipped with an updated simulation engine, an enhanced visual system, improved cockpit hardware, and powerful computing capabilities. Every Redbird comes with an intuitive and modern operating system, Navigator, that allows customers to easily control the simulated environment, launch and save flights, update software, track billing, and contact support from any wireless-enabled device—such as a tablet, laptop, or smartphone. The latest Redbird models are also compatible with the company’s ground-breaking maneuvers training supplement, Guided Independent Flight Training (GIFT), which will help students learn, practice, and receive feedback on every maneuver required for their Private Pilot license. Redbird will provide a complementary value assessment for any qualified trade-in, which includes competitor devices and earlier-generation, Redbird devices. After a trade-in offer is received, the Redbird sales team will help participants in the program select a new Redbird device to fit their training needs and apply the agreed-upon credit toward its purchase price. Restrictions apply. 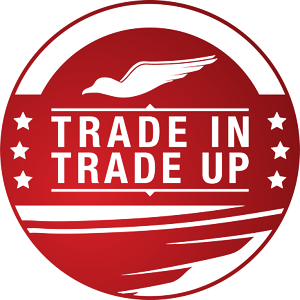 For more information on the Redbird Trade In, Trade Up program, please visit https://simulators.redbirdflight.com/about/trade-in-trade-up or contact info@redbirdflight.com.